If you're working a digital medium, and selling prints to your buyers, your life is considerably easier. 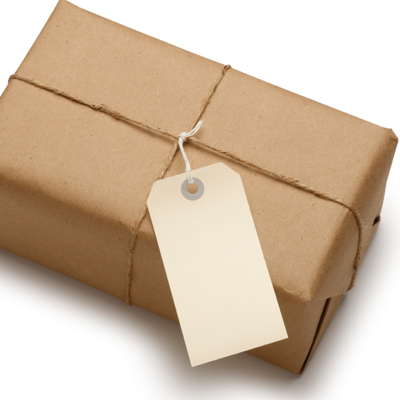 Most shipping stores and post offices sell shipping tubes for just such eventualities, and they tend to be made out of extremely durable cardboard. Ensure that you don't skimp out on expensive shipping materials, and buy a tube with adequate structural integrity. Depending on the type of paper you've chosen to print on, you should also be wary of buying a tube with sufficient diameter to prevent any print coatings on the paper from being damaged while rolled, as the coatings may compress and crack when unrolled if they are rolled too tightly. Even if you make all the right choices, accidents can happen - but at least in that case, you're only out a single print of your work, and the original hasn't been lost forever. When you're shipping something like a framed work, a painting, or anything on stretched canvas, for example, shipping tubes are clearly not an option. However, with a bit of creative thinking and a trip to your local hardware and/or shipping store, you can quickly construct something that will prevent even the most delicate piece from being damaged by the most careless employee. First, wrap your piece in some type of thin plastic to protect the surface. Follow this up with a couple of layers of bubble wrap, paying close attention to the corners. Next, take some thick corrugated cardboard and cut a custom-sized set of panels, one for each side of your piece. Ensure that there are several inches of extra cardboard around each edge. Take these two pieces and carefully fold the edges over to create an internal protective layer. Wrap this whole thing in bubble wrap once again (you'll want the kind with large bubbles, not the smaller types use in electronics packaging), and place it in a telescoping shipping box, which any shipping store can provide. Voila! Don't forget to buy some shipping insurance when you send the package, just in case the worst should happen - the world is governed by Murphy's Law, of course. If you don't want to deal with the hassle of all of this, it's quite possible that you'll be able to find a shipping company near you who specializes in transportation of artworks and other extremely valuable and fragile one-of-a-kind items. They're definitely more expensive, but when you're shipping a piece worth thousands of dollars, it's better not to mess around and hope for the best. Even the best insurance in the world can't bring your piece back from destruction. Remember - this is only a guide. If you're not certain you can do it yourself, hire a professional shipper.